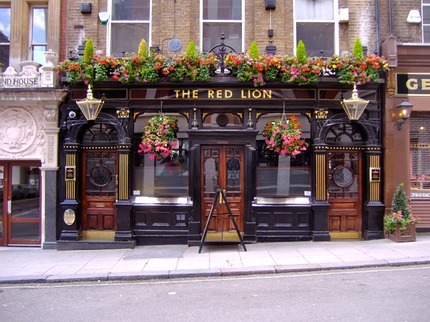 "The London Pub Tour Specialist"
Our walks combine London, history, old pubs and real ale. London's pubs have fascinating stories to tell. 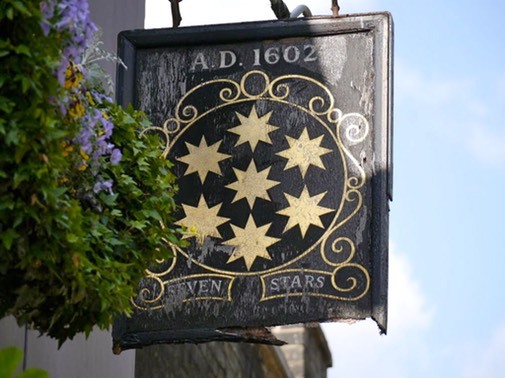 London taverns of real antiquity are few and far between, but there are a handful of 16th, 17th & 18th century treasures, along with some fine Victorian and Edwardian inns. Our knowledgable guides have a life-long passion for London, its ale-houses and its history. Join them for a guided walking tour and drink in a piece of history. England's national drink is beer and, more specifically, real ale. Real ale is a natural product brewed using traditional ingredients and left to mature in the cask from which it is served in the pub, through a natural process called secondary fermentation. It is this process which makes real ale unique amongst beers and develops the wonderful tastes and aromas which processed beers like lager can never provide. All real ales contain the same basic ingredients, but each real ale tastes different, according to the types of malt, hops, yeast and water used in the brewing process. 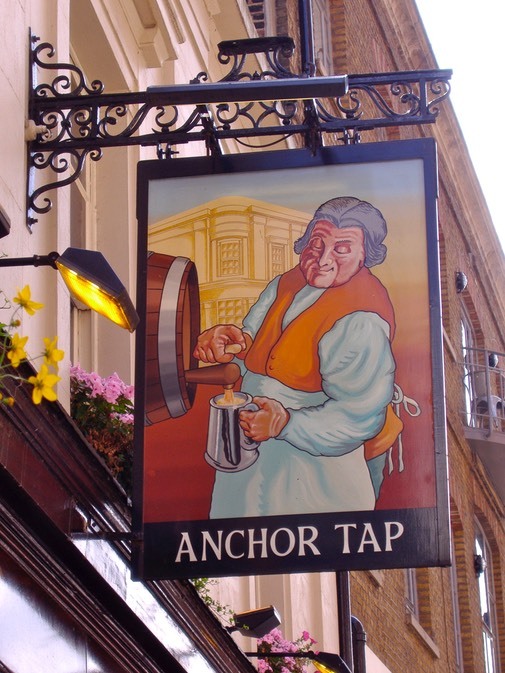 All historic pubs visited on London Tavern Trails' walking tours serve these traditional real ales. But, by the way, don't feel obliged to drink real ale - the choice is yours : beer, lager, stout, wine, spirits, soft drinks or whatever takes your fancy. But don't just take OUR word for it. See what others have to say about our historic pub tours by clicking on one of the Trip Advisor icons on the right of this page. Our 4 classic tours (Holborn, Fleet Street, Covent Garden and Wapping) are detailed on this website. You can choose from one of these tours or a bespoke tour to suit individual requirements. Possibilities include the historic taverns of Belgravia, St. James's, Smithfield, Southwark or Westminster. A bespoke tour can include as few or as many pubs (within reason !) as you wish. London Tavern Trails™ was founded by, and is owned and managed by John Edwards and Morris Jones. We both graduated from London Universities and have each spent the majority of our working lives in London. We have a passion for London and its rich history and for London pubs. We believe that real London pubs are unique pieces of living history which are central to an appreciation of the city and its bygone days. The tavern tours take-in carefully selected historic pubs, which are often English Heritage listed buildings and often listed in CAMRA's National Inventory of historic pub interiors. Each walk lasts around two & a half hours, which includes a number of refreshment stops en route in carefully selected historic pubs. We will tell you about the history of each pub visited on the tour and inform you about the history of the local area. You will discover things about beer and brewing that perhaps you didn't know. All the pubs we visit serve real ale, as well as other beers, wines and spirits, and soft drinks. There is no obligation to buy a drink or spend money in any of the pubs we visit. We welcome children of 14 years of age and over on our guided walks. Under UK Licensing Laws, children under 16 are allowed in pubs so long as they are accompanied by someone who is 18 years or over. But different pubs tend to have different rules, so please ask us in advance if you intend to bring a 14-17 year old on one of our tours. Children under 18 are not permitted to buy or to consume alcohol in a pub. We are supporters of the Campaign for Real Ale. CAMRA campaigns for real ale and real pubs.